GeeXLab 0.9.5.0 comes with one cool new feature: the support of NanoVG. 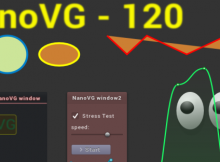 NanoVG is a really cool library and a nice addition to GeeXLab. NanoVG is a small C library for drawing antialiased 2D vector graphics. 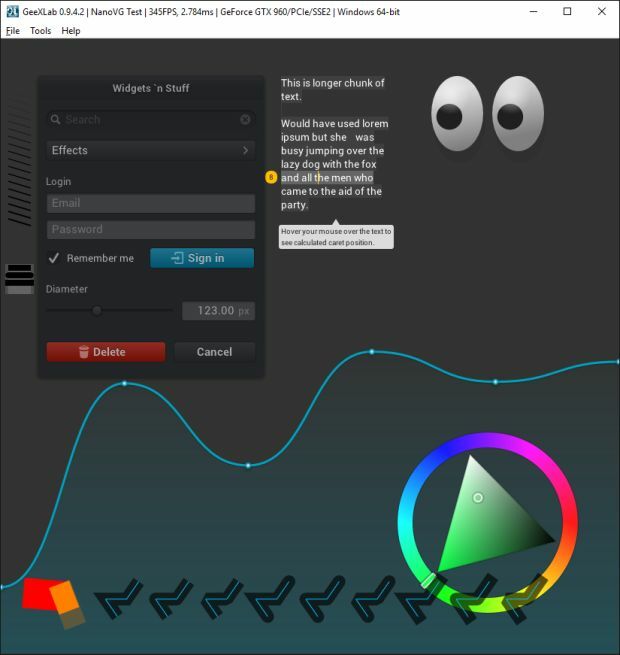 It’s the perfect tool for UI (user interfaces) and 2D visualization. 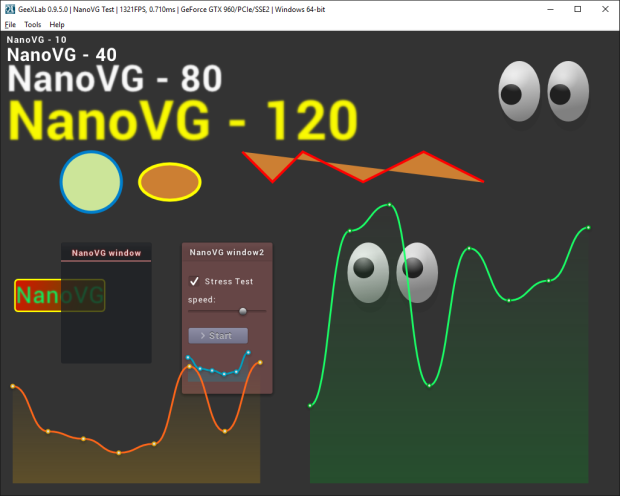 All NanoVG demos are available in the host_api/NanoVG/ folder of the code sample pack. So do not hesitate to tweak and hack them to understand how to use NanoVG related functions. I will update the reference guide as soon as possible. The support comes with two types of functions: low level functions and high level functions. All new functions are packed in the new gh_nvg (lua / python) library. Low level functions follow NanoVG functions and allow to build any kind of 2D graphics. <window name="win3d01" title="NanoVG Test" width="1024" height="768"
This code reserves 24-bit for the depth buffer and 8-bit (32-24=8) for the stencil buffer. 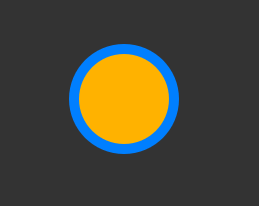 Now let’s see how to draw shapes and other widgets. 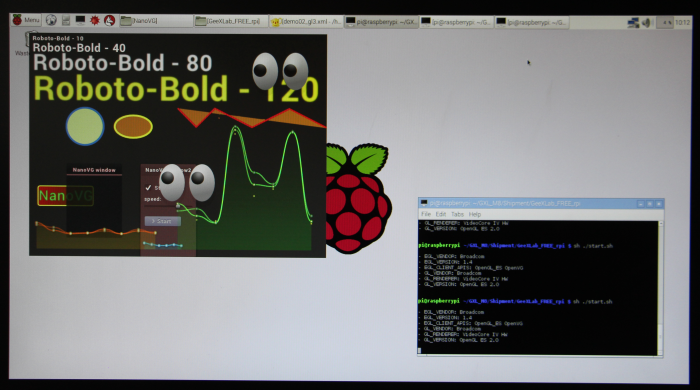 To draw a shape with NanoVG, you have to start a new path with gh_nvg.begin_path(). This function clears all the currently defined paths. 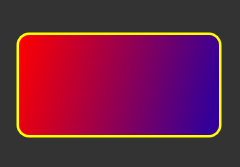 begin_path is not required for text rendering. where “sans-bold” is your identifier to use this particular font for drawing texts. The blur option is really cool! The gh_nvg lib has also high level functions. 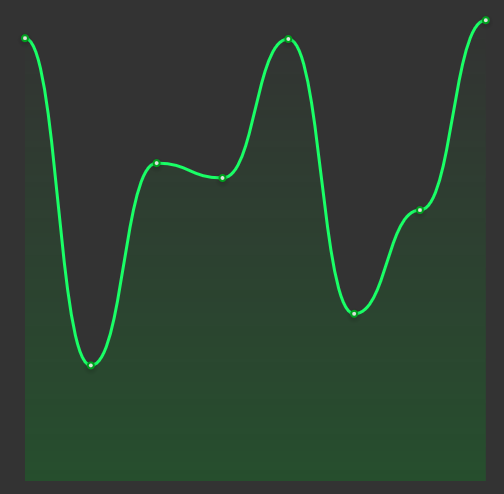 This functions pack several calls to NanoVG native functions to easily draw widgets like windows, sliders or buttons.